I have been thinking about the “So Detailed” Thinlits for a few days. I wanted to make something pretty with them and this cute card popped into my brain. It was quick & easy which is right in my wheelhouse lately. There don’t seem to be enough minutes in my day to play in my craft room as much as I would like. This card came together super fast! 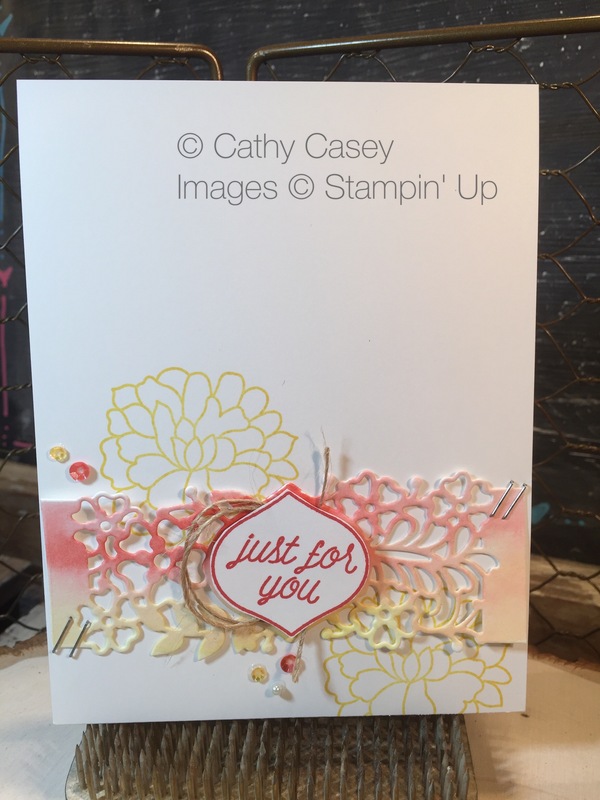 Watercolor paper is cut with the die image and watercolored randomly in Watermelon Wonder, Calypso Coral and Daffodil Delight. The sentiment is stamped in Watermelon Wonder and fussy cut. 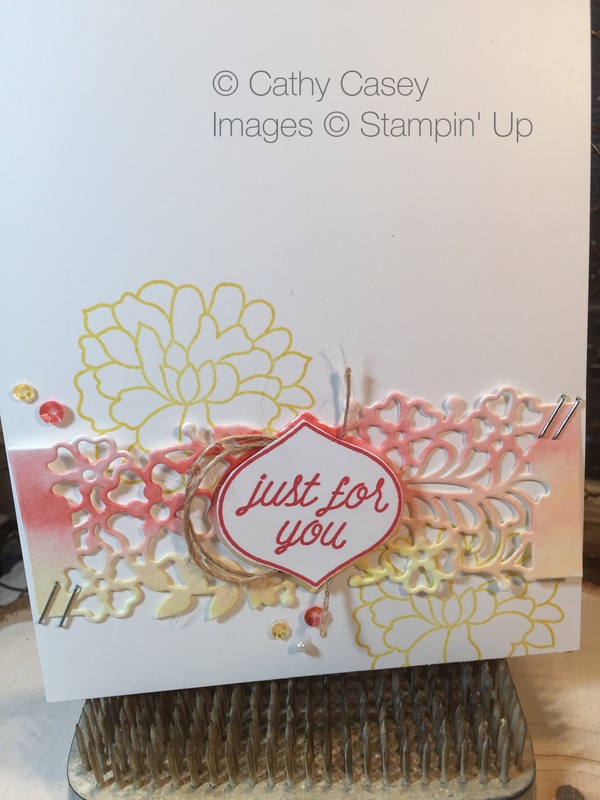 The large flower image from the coordinating “So in Love” stamp set is stamped on Whisper White in Daffodil Delight. The die cut is stapled over the flowers and the sentiment is popped up on top with a strand of burlap ribbon twisted underneath. Final touches are the Sprinkles Embellishments. I hope you are able to carve a few minutes to create into your day! This entry was posted in Cards, Stampin' Up, Thinlits Dies, Watercoloring and tagged featured, So Detailed Thinlets, So in Love, Stampin' Up, Watercoloring by kate80132. Bookmark the permalink.